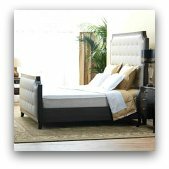 The Englander latex mattress line is one of the highlights of their offerings and probably shows the most promise of all their models. In the past mattresses have not been known as the most environmentally friendly products. However, Englander has created a more eco-friendly option with their organic mattresses. They're made from such organic products as New Zealand wool, natural rubber latex, cotton, and sustainable wood. According to Englander executives, the "green" movement is gaining support in the bedding industry, but the company didn't want to just pay lip service to the concept. So they have shared with consumers exactly where their organic, eco-friendly materials come from. The Englander Nature's Finest Organic line of mattresses comes with varied amounts of latex. The top model with the most latex has eight inches of it and retails for $3,500. The one with the least latex, an innerspring model with two inches of latex retails for $1,999. Natural rubber latex, made from the sap of the rubber tree, is one of nature's most durable cushioning materials. Latex bedding conforms to the body's shape for outstanding comfort and orthopedic support. It is also environmentally safe, odor-free, and hypoallergenic. And, like many of nature's products, latex makes mattresses feel cooler when necessary. Natural Rubber Latex - The Perfect Mattress Material? Latex mattresses have many advantages over traditional models. For one, it is exceptional at maintaining its shape and is naturally durable. By relieving pressure points and minimizing motion transfer, latex results in more restful sleep, and it conforms to each person's shape and size naturally. Latex beds have a feeling of luxury that is hard to match. They actually become more comfortable over time as they're broken in. They're also especially resilient and elastic, recovering their shape quickly. An Englander latex mattress can reduce pressure points by up to 90%, resulting in fewer muscle aches and minimal tossing and turning. Breathability is another advantage to latex mattresses. 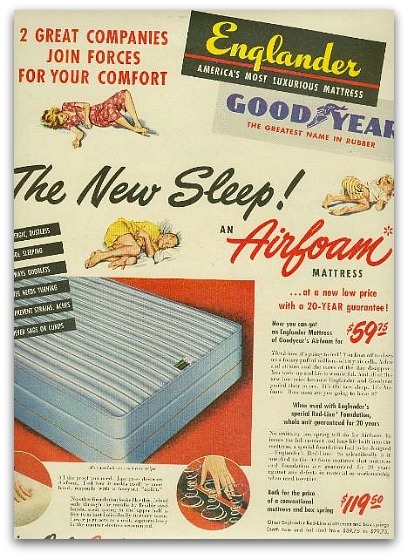 Natural latex foam is manufactured with pincore holes that allow proper air flow which results in cooler sleep. It is naturally antimicrobial, dust mite resistant, and hypo-allergenic. It won't colonize mold, mildew, or bacteria. You can feel the difference if you lift up the corner of a natural latex mattress. They're significantly heavier than those that use synthetic blends, and last longer. The cost is comparable to synthetic latex but natural rubber latex is free of petroleum products. 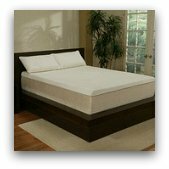 Just What Is An Organic Latex Mattress? The creation of a Nature's Finest mattress begins at the rubber plantation, where extracts are tapped without harming the trees. Each tree is allowed to live out its full lifespan. The rubber extract is processed, molded, and developed into the material that makes up the support layer of an Englander latex mattress. The label "organic" refers to how agricultural products are grown and then processed. Organic production maintains and replenishes soil fertility without the use of toxic fertilizers and pesticides. Processing is kept to a minimum and does not use artificial ingredients, irradiation, or preservatives, reducing exposure of people and the planet to harmful chemicals that can end up in the water, air, ground, or food supply. Products that are labeled "Certified Organic," like Englander's latex mattresses attest that the materials were grown with strict standards verified by independent private or government organizations after inspection of fields and processing facilities. The soil and water on organic farms and plantations is tested regularly to ensure compliance with organic certification standards. In addition to the rubber that is used in an Englander latex mattress, other materials used are certified organic as well. They only use organic wool, cotton and wood. Even the steel they use is recycled. With no fillers or poly foams, they are one of the purest organic mattresses on the market. The end result is a product that not only benefits the planet, but the consumer as well. Wool is naturally flame-resistant and wicks moisture away from the body, helping regulate body temperature for sounder sleep and better comfort. Cotton is breathable, ventilating body heat to keep the body cool and comfortable. And the latex itself provides a comfortable, durable mattress that reduces pressure points, minimizes motion transfer, resists allergens, and should result in sound, restful sleep. As someone who has suffered with chronic asthma and seasonal allergies for my entire life I would highly reccomend checking out the Nature's Finest line of mattresses from Englander.